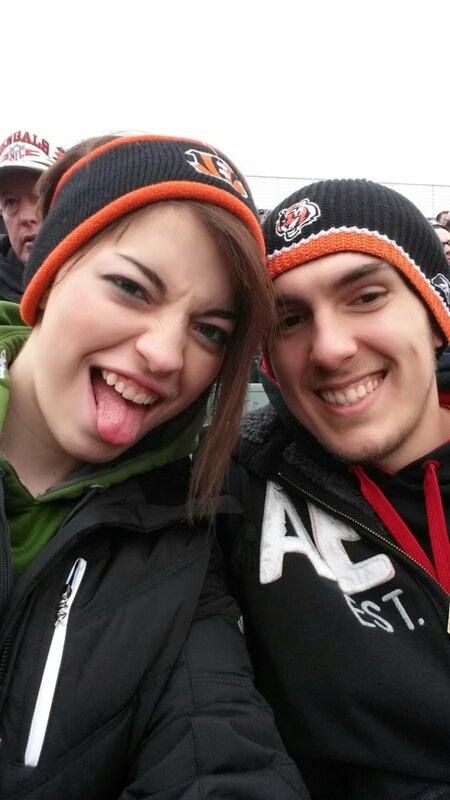 Thanks to my sister, Bailey and I got to go to our very first Bengals game this past Sunday. She gave Bailey the tickets for Christmas and it was so fun! 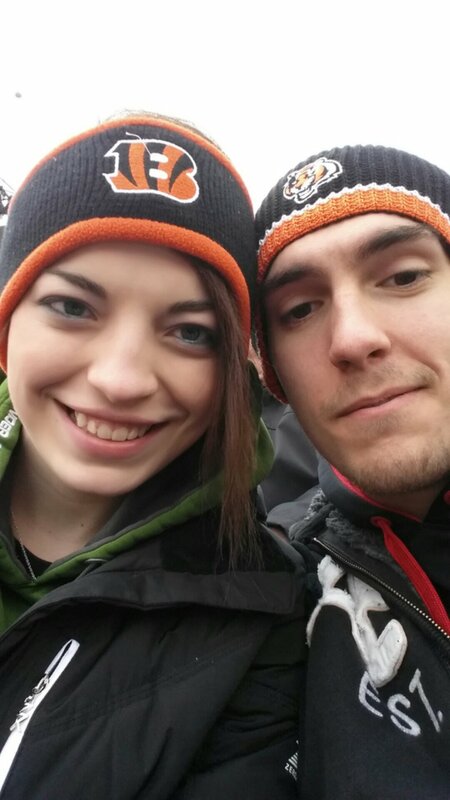 It was a home game, in which they played the Ravens. Driving there wasn’t too bad, but parking was crazy. We paid $20 for parking, well then Bailey following someone out of the parking garage so we had to pay ANOTHER $20. It wasn’t the best way to start the evening, that’s for sure. Next, walking into the stadium I felt like I was going to be patted down and strip searched. All these masses of people shove into lines to get searched and it wasn’t the most fun thing. Next, Bailey and I couldn’t find our seats. Of course we missed kickoff. After that the game went on. Leaving, we got stuck in so much traffic. Then we got lost. Go figure. I don’t know how we are going to make it to Florida next summer. It was a lovely trip. Nonetheless, we had a lot of fun. I was glad we got to go. 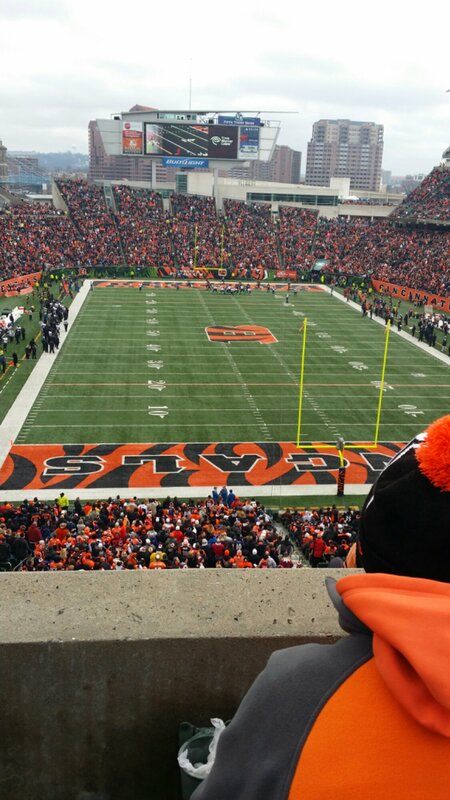 This entry was tagged bengals game, football. Bookmark the permalink.